Dave Rettman from DRC INC contacted Studio 544 to re-design their old, static site that they had originally created with 1&1’s website builder program. The site was outdated and not mobile friendly. The new site is mobile responsive and showcases the company’s projects through the use of multiple photos, image galleries and slideshows. DRC INC was founded by Don Rettman in 1963 under the business name of Don Rettman Construction LLC. 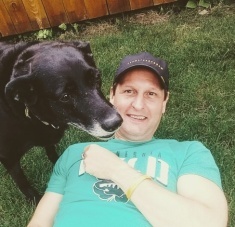 He started the company with a 580 Case tractor backhoe and a single axle Ford dump truck. Today DRC INC is a contractor specializing in asbestos demolition and building burns for both commercial and residential projects. 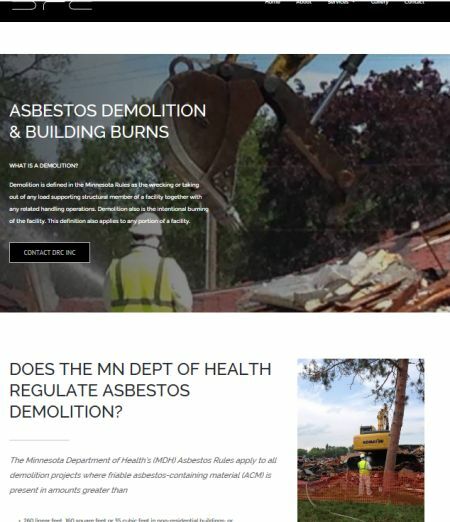 The new website for DRC INC can be found at www.asbestosdemolition.net It was created with WordPress and will allow the site to grow with the company’s expanding line of services into the future.